Generating leads on LinkedIn may be much easier than it looks. Most digital marketers realize LinkedIn has enormous potential as a source of B2B leads. 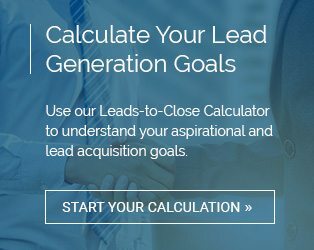 A consistent formula for finding and converting those leads remains elusive, however. In some cases, this may be due to lack of familiarity with the platform. In others, it is simply because those unfamiliar with social selling tend to complicate the process. As long as you have basic knowledge of LinkedIn, you can use it for marketing and selling. The question is how to port winning techniques to the platform. First and foremost, take care of the basics. Your profile should be complete and professional, with all sections filled out. In particular, be sure you have a clear, high-quality photo, a listing of 50 skills, and an eye-catching tagline that summarizes your unique value proposition at a glance. Once you have a complete profile, upgrade to access advanced targeting and more InMails. Paid tiers of LinkedIn deliver sophisticated targeting to find your leads. The Sales Navigator tool is a sales command center providing 22 different filter categories. Simply align these categories with your established buyer persona. You will be able to combine personal details, such as job title, with firmographics like industry and headcount. That easily helps define your target buyer. A canned sales pitch is unlikely to get you much cachet with decision-makers on LinkedIn. To open the door to a real relationship, you need to understand where leads are coming from. Look at profiles and corporate websites to find trigger events, recent changes in business outlook that make your products and services particularly relevant. Use these to start a conversation. Messaging possible leads directly is the best way to operate on LinkedIn. It is fast, efficient, and expected. That said, LinkedIn is also extremely powerful for amplifying your message. You can do this by looking at which LinkedIn Groups your leads are most active in. Participate in these Groups by asking and answering pertinent questions, showcasing your expert knowledge. If your enterprise focuses on the inbound way of doing business, your colleagues in marketing likely have built up a huge library of content. That content espouses the unique value of your products and services in a way that’s both informative and useful. Take that content to leads who can use it. Continue to follow up until your persistence creates an opportunity. Done right, LinkedIn is both simple and powerful. Follow these five steps and see the difference.